What a great book this is! Barbara Ann Mojica has created a lovely character called Little Miss History, a girl obsessed with traveling and history. Throughout her travels and adventures, Little Miss History shows us places that we thought we knew, making us look at them with a new sense of wonder and teaching us little known facts about them. 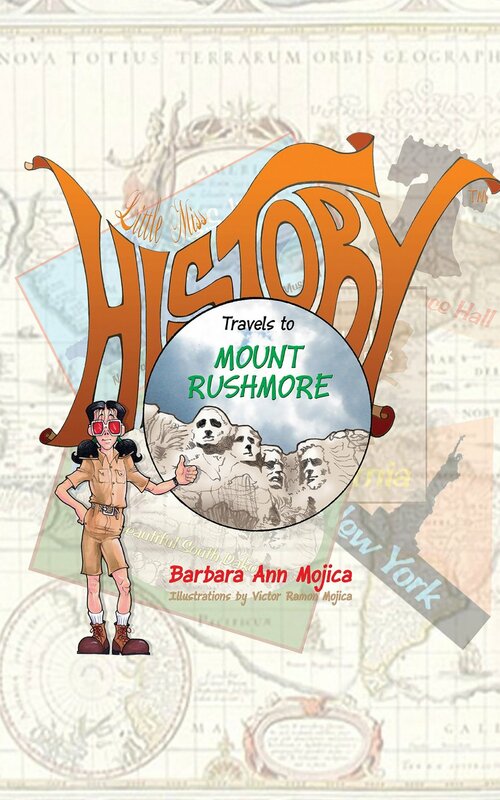 The book where Little Miss History goes to Mount Rushmore is very well researched and all the information is presented in a simple and entertaining way that kids will easily understand and love. We learn fun facts about the site, since its planning and creation, all the way to 2012 and the current issues that the famous landmark faces. The illustrations done by Victor Ramon Mojica are impeccable and give the book and its main character a unique and very polished appearance. The drawing on page 27, showing us a Native American on a horse looking back at Mount Rushmore, is one picture particularly melancholic that speaks volumes of the artist’s skill. This is the kind of book that you will read time and time to your children, until they can tell it by memory. This is the first book of a collection that I hope will be long, since I am planning to read them all. Definitely recommended, even if you don’t have kids! ¡Que gran libro grande es este! Barbara Ann Mojica ha creado un personaje encantador llamado Little Miss History, una chica obsesionada con los viajes y la historia. A lo largo de sus viajes y aventuras, Little Miss History nos muestra lugares que creíamos conocer, haciendo que los veamos con nuevos ojos y enseñándonos hechos poco conocidos sobre ellos. El libro en el que Little Miss History va al Monte Rushmore está muy bien investigado y toda la información se presenta de una manera sencilla y divertida que los niños entenderán fácilmente y disfrutarán mucho. Aprendemos datos curiosos sobre el sitio, desde su planificación y creación, hasta 2012, con los temas actuales que este sitio enfrenta. Las ilustraciones de Víctor Ramón Mojica son impecables y dan al libro y a su personaje principal un aspecto único y muy pulido. El dibujo de la página 27, que nos muestra a un nativo americano en un caballo mirando hacia atrás al Monte Rushmore, es un cuadro particularmente melancólico que dice mucho de la habilidad del artista. Este es el tipo de libro que vas a leer una y otra vez a tus hijos, hasta que lo puedan recitar de memoria. Este es el primer libro de una colección que espero que sea larga, ya que tengo la intención de leerlos todos. ¡Sin duda lo recomiendo, incluso si no tienes hijos! Compra en libro en Amazon. It Stinks to be Pink! is free until midnight this Thursday March 20th, 2014. This is an eBook that teaches children very important life skills, such as how to achieve your goals and how to increase your self esteem. It is filled with Kathryn Novak´s illustrations and it will certainly make your child laugh, while thinking about important issues. You can read our complete review here. Go to Amazon to get your free copy now. 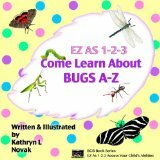 My good friend Kathryn L Novak has been kind enough to donate some electronic copies of her book “EZ as 1-2-3, Come learn about bugs A-Z” for the Publica tu ebook readers. If you would like to have your own electronic copy, just share our review of her eBook on your Facebook wall and email me an image of your sharing to joe@publicatuebook.ca. We will then email you a FREE copy of the book. 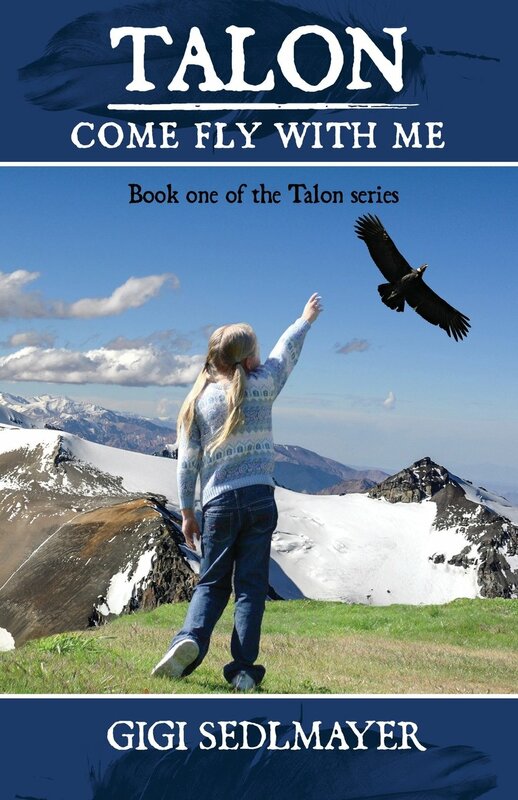 (Please specify whether you would prefer the book as a PDF or .mobi/kindle ready file). But hurry, we have limited quantities! Share before they are all gone! Sorpresa de Sábado: ¡eBook gratis! Mi gran amiga Kathryn L Novak ha tenido la gentileza de donar algunas copias electrónicas de su libro “EZ as 1-2-3, Come learn about bugs A-Z”” para los lectores de Publica tu eBook. Si te gustaría tener este libro electrónico, simplemente comparte nuestro review del libro en tu muro de Facebook y mándame una imagen del share por correo electrónico a joe@publicatuebook.ca. Nosotros te enviaremos una copia gratuita del libro. (Por favor, especifica si prefieres el libro como un archivo PDF o como un archivo .mobi / kindle) . Pero date prisa, ¡tenemos cantidades limitadas! ¡Comparte antes de que todos se vayan! Kathryn Novak just doesn´t know how to rest. 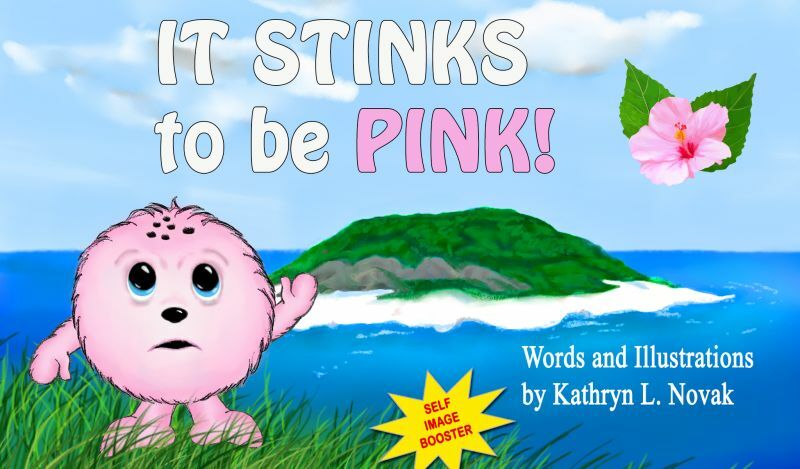 Last time we talked with her, she was busy promoting her first book, “It stinks to be pink!” an excellent book to boost your child’s self-confidence. That was just last November. Since then, she has published two new books! It was kind of hard to choose what to talk about this time. I finally settled for “EZ as 1-2-3, Come learn about bugs A-Z” because I loved her alphabet book; I loved the rhymes and I loved my kid laughing at the drawings and the text. Parents cherish the moment when their young kid “reads” the book back to them for the first time; you don´t know if they are really reading or if they are reciting the book by memory, or both. And let´s face it: it is a magical moment for the little guys too. The special thing about this book is that it is all about… bugs! And who doesn’t love bugs? (Okay, my mom doesn’t love bugs, but apart from mom… who doesn’t like bugs?) Children are always thinking about little insects; they are intrigued by ants, butterflies, and worms; the whole package. So this book is an excellent start before further proceeding into the deeper study of insects, known as entomology. Kathryn illustrates her own books and it was interesting witnessing her evolution as a plastic artist since “It stinks to be pink!” This book has a nice consistent theme and tone through all pages and colors are nicely balanced through all letters. I, as babies, love primary colors! Kathryn Novak no sabe cómo descansar. La última vez que hablamos con ella, estaba ocupada promocionando su primer libro titulado “It stinks to be pink!” un excelente recurso para aumentar la autoestima de tu hijo. Y eso fue apenas en noviembre. Desde entonces, ¡ha publicado dos nuevos libros! Así que fue un poco difícil elegir de qué hablar esta vez. Finalmente me decidí por “EZ as 1-2-3, Come learn about bugs A-Z” porque me encantó su libro del alfabeto; me encantaron las rimas y me fascinó ver a mi hijo riéndose con los dibujos y el texto. Los padres atesoramos el momento en que nuestro chiquito nos “lee” el libro a nosotros por primera vez; no sabemos si realmente están leyendo o si están recitando el libro de memoria, o ambos. Y la verdad es que es un momento mágico para los pequeños también. Lo especial de este libro es que es todo sobre… bichos ! ¿Y quién no ama a los insectos? (Bueno, a mi mamá no le encantan los insectos, pero aparte de mamá… ¿a quién no le gustan los bichos?) Los niños siempre están pensando en pequeños insectos; están intrigados por las hormigas, mariposas y gusanos; todo el paquete. Así que este libro es un excelente punto de partida antes de seguir adelante en el estudio más profundo de los insectos, la entomología. Kathryn ilustra sus propios libros y fue interesante poder ver su evolución como artista plástico desde “It stinks to be pink!” Este libro tiene un tono y un tema recurrente y agradable a través de todas las páginas y los colores están muy bien equilibrados en todas las letras. ¡A mí, como a bebés, me encantan los colores primarios! Así que si hay un pequeño experto en bichitos en casa con ganas de aprender el alfabeto, compra “EZ as 1-2-3, Come learn about bugs A-Z”. It is almost universally accepted that a good attitude and a healthy self esteem make a big difference between succeeding or failing in life. Teachings such as the Kabbalah, the NLP or The Secret, also known as the Law of Attraction, explain different techniques to do the same thing: believe in yourself and keep an upbeat attitude, even in the worst of times. Surprisingly enough, we do not spend time educating ourselves in these procedures even when we know they can make a big difference in our lives; we are not trained to monitor our thoughts and our feelings to keep them in check and improve our future; we are plagued by different kind of fears: are we capable enough? Do we belong? Are others better than us? People can say “Oh, you know, just be an optimist,” but this just doesn´t come by wishing it. It is actually hard work to have and to keep a strong self image and a good attitude. If these issues are difficult for a grownup, imagine how hard they can be to a kid. The subjects mentioned above, such as the Kabbalah or the NLP, are deadly boring to them. How can you explain these concepts and educate them to believe on their selves? We have talked before about the works of Dr. Orly Katz. 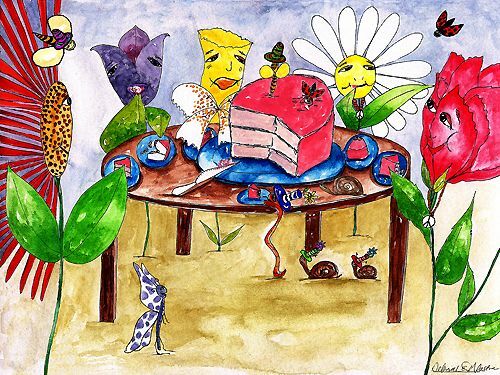 This time, she has created some funny characters called the Busy Dizzies. These Dizzies live inside you, and if you don’t control them, they can fill you with negative feelings or thoughts, such as self-doubt, fear of success or fear to talk in front of people. and talk in your ear. they know you can hear. that can make you quite dizzy! Through the words of the school teacher in the story, Miss Young, Dr. Katz teaches children a great song to control their Busy Dizzies and be more self assured. The end of the book has several activities that you can do with your child to help identify and get rid of their Busy Dizzies. This is an excellent book to read with all types of young children, but especially with the ones that you feel are overwhelmed by doubts or have low self esteem. I enjoyed the entire book, written in rhymes, and the wonderful art by Bijan: the Dizzies look funny, making the book even more attractive. So, child or adult, if you feel you have a Dizzy, start to sing! You can grab your copy of Buzy Dizzy at Amazon now. Es casi universalmente aceptado que una buena actitud y una autoestima saludable hacen una gran diferencia entre el éxito y el fracaso en la vida. Enseñanzas como la Cábala, la PNL o El Secreto, también conocido como la Ley de la Atracción, explican diferentes técnicas para hacer la misma cosa: creer en uno mismo y mantener una actitud positiva, incluso en los peores tiempos. Por sorprendente que parezca, no invertimos tiempo educándonos en estos procedimientos, incluso cuando sabemos que pueden hacer una gran diferencia en nuestras vidas; no estamos entrenados para vigilar nuestros pensamientos y nuestros sentimientos para mantenerlos a raya y mejorar nuestro futuro; estamos plagados de diferentes tipos de temores: ¿somos capaces? ¿Estamos donde debemos estar? ¿Hay otras personas mejores que nosotros? La gente puede decir “Bueno, ya sabes, simplemente debes de ser optimista”, pero no llega nada más así, deseándolo. En realidad, se debe trabajar bastante para tener y mantener una autoestima sana y una buena actitud. Si estos temas son difíciles para un adulto, imagina lo difícil que puede ser para un niño. Los temas mencionados anteriormente, tales como la cábala o la PNL, son mortalmente aburridos para ellos. ¿Cómo se pueden explicar estos conceptos y educar a los niños para creer en sí mismos? Hemos hablado antes acerca de los trabajos de la Dra. Orly Katz. Esta vez, ella ha creado algunos personajes divertidos llamados los Busy Dizzies. Estos Dizzies viven dentro de ti, y si no los controlas, te pueden llenar de sentimientos o pensamientos negativos, como la duda, el miedo al éxito o el miedo a hablar delante de la gente. y hablan en tu oído. ellos saben que los puedes oír. ¡que te pueden marearte bastante! A través de las palabras de la maestra de escuela que aparece en la historia, la señorita Young, la Dra. Katz enseña a los niños una canción excelente para controlar sus Busy Dizzies y ser más seguros de sí mismos. El final del libro tiene varias actividades que puedes hacer con tu hijo para ayudarle a identificar y deshacerse de sus Buzy Dizzies. Este es un estupendo libro para leer con todo tipo de niños de corta edad, pero sobre todo con los que tú sientas abrumados por la duda o que tienen baja autoestima. Disfruté de todo el libro, escrito en versos en inglés, y el arte maravilloso de Bijan: los Dizzies tienen un aspecto muy divertido, haciendo que el libro sea aún más atractivo. Así que, niño o adulto, si sientes que tienes un Dizzy, ¡empieza a cantar! Puedes comprar tu copia en inglés del libro Busy Dizzy en Amazon.